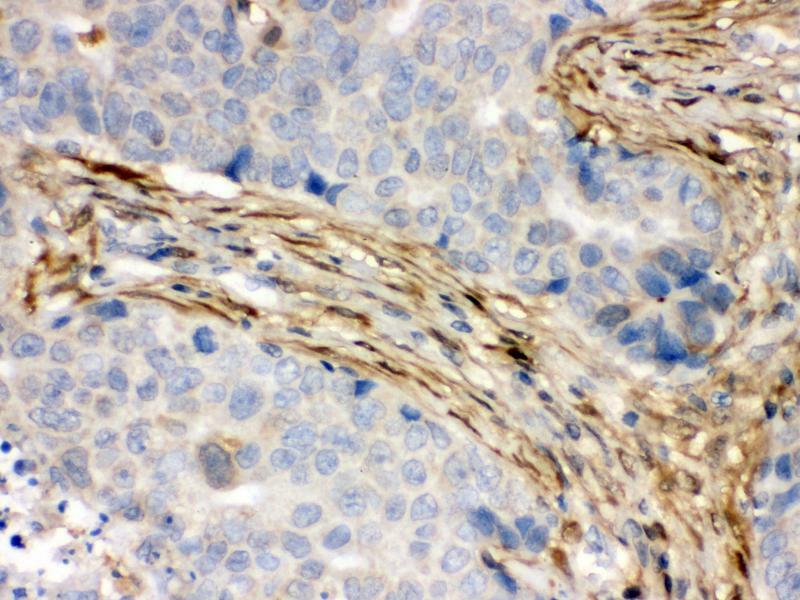 Purpose Rabbit IgG polyclonal antibody for Protein S100-A6(S100A6) detection. 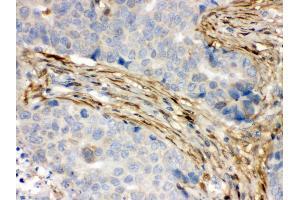 Tested with WB, IHC-P in Human,Mouse,Rat. 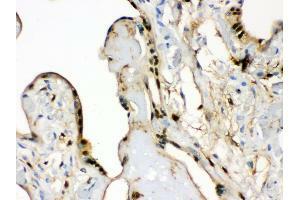 Immunogen E.coli-derived human S100 alpha 6 recombinant protein (Position: M1-G90). Human S100 alpha 6 shares 96.6% and 95.5% amino acid (aa) sequence identity with mouse and rat S100 alpha 6, respectively. 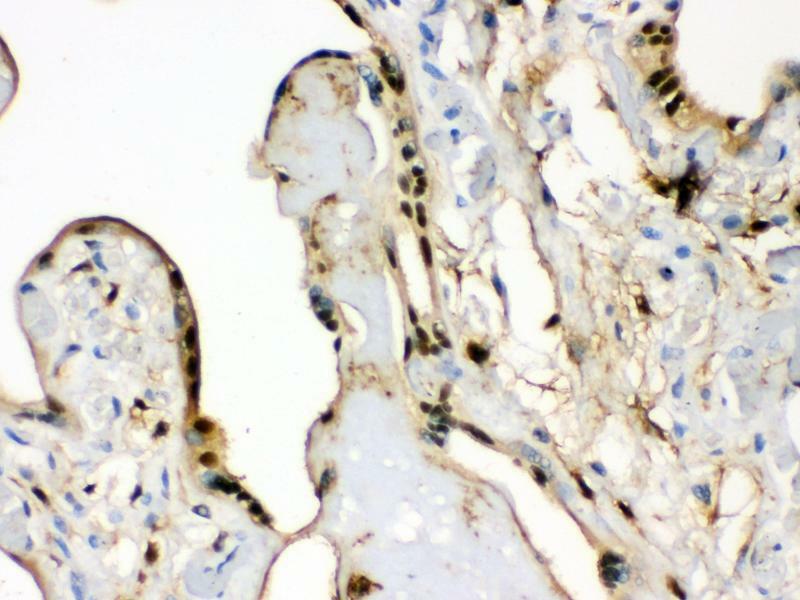 Characteristics Rabbit IgG polyclonal antibody for Protein S100-A6(S100A6) detection. 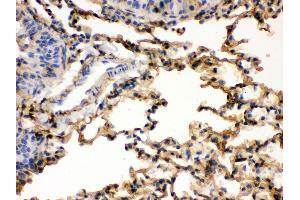 Tested with WB, IHC-P in Human,Mouse,Rat. 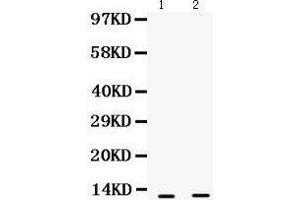 Background S100 calcium-binding protein A6 (S100A6) is a protein that in humans is encoded by the S100A6 gene. 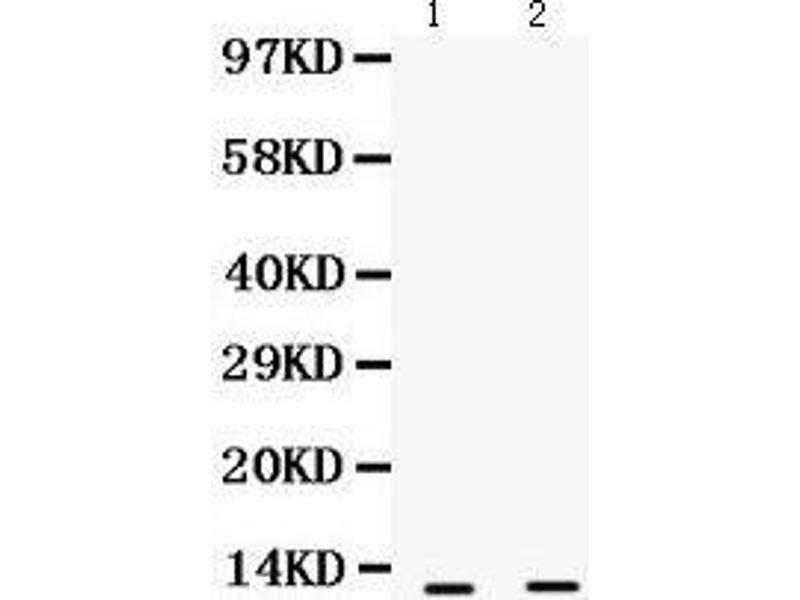 The protein encoded by this gene is a member of the S100 family of proteins containing 2 EF-hand calcium-binding motifs. 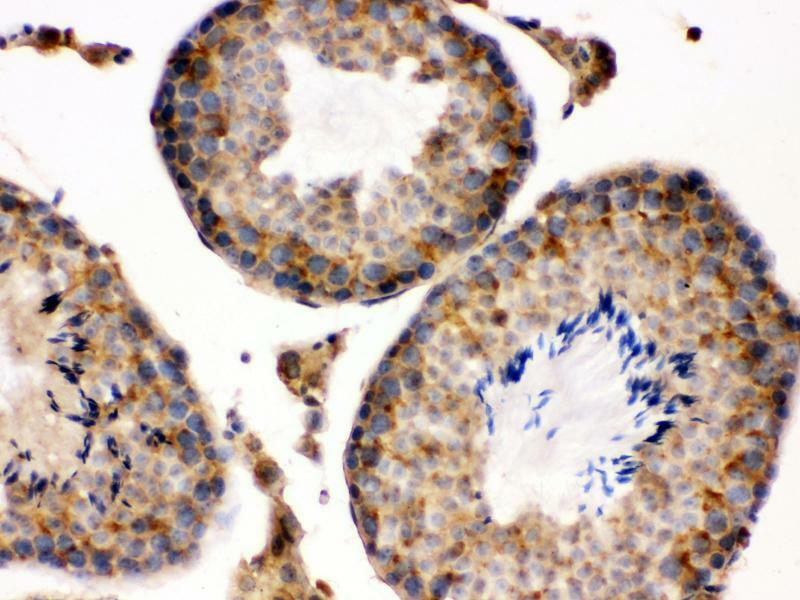 S100 proteins are localized in the cytoplasm and/or nucleus of a wide range of cells, and involved in the regulation of a number of cellular processes such as cell cycle progression and differentiation. 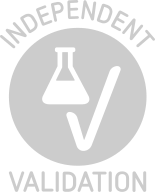 And S100 genes include at least 13 members which are located as a cluster on chromosome 1q21. 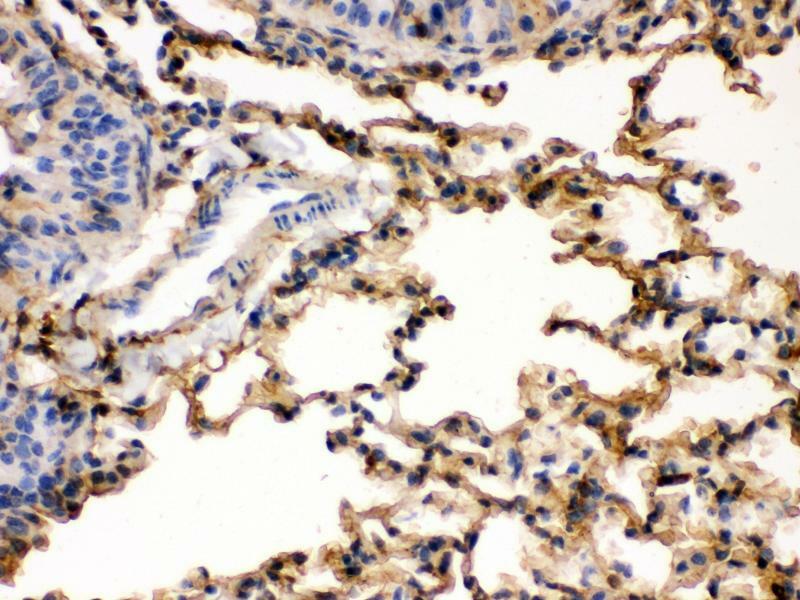 This protein may function in stimulation of Ca2+-dependent insulin release, stimulation of prolactin secretion, and exocytosis. 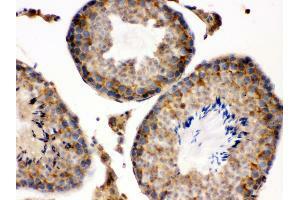 Chromosomal rearrangements and altered expression of this gene have been implicated in melanoma.